If you are a new parent, it is understandable that your baby’s soft spot makes you a little nervous. You might have even seen it pulsating from baby’s heartbeat. It may also make you a little nervous when it bulges in response to crying or pooping. This is one of many things that are a mystery to first time moms. Over time, the soft spot will begin to close up. In the meantime, you shouldn’t really worry about the baby soft spot. They are well protected and won’t hurt your baby.To ease your fears, this article has information on the function of the soft spot and things to look for when you may need to contact your doctor. What Is the Baby Soft Spot on Head? Baby soft spots are made up of two open areas known as the “fontanels.” There is one large one in the front and the second is a smaller spot in the back of the head. These are actually open spaces in the bones of the skull. The front is the “fontanel” and the one in the back is the “posterior fontanel.” The one up front is a diamond shape and the one in back is a small triangle. While it looks like a defect in your baby’s skull, it is really nothing to worry about. They are a naturally occurring formation to help your baby’s head fit through the birth canal. After your baby is born, they remain open while your baby’s brain grows in the first few months. If you see this area pulsating to baby’s heartbeat, this is just the blood flow through the area and nothing to worry about. The actual brain is actually covered by a stiff membrane in between the open skull bones. You can use the soft spot as a guide to illness and fluid intake, otherwise you won’t have to worry much about touching it, as long as you’re gentle. When Will the Baby Soft Spot Close? 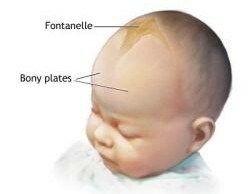 The fontanels on your baby’s head will come together and close up. You will notice that it is already hard to feel the posterior fontanel and this one most often closes up around six weeks of age. The front or anterior fontanel is really easy to find and feel and doesn’t close up until around 18 months of age. This gives your baby’s developing brain time to grow. 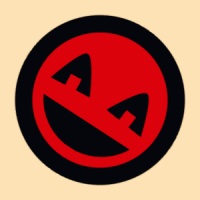 Is the Baby Soft Spot Fragile? While they may look fragile, they are actually covered by a strong membrane to protect your baby’s brain tissue. You can lightly touch them, just don’t press too hard. You will unknowingly be touching them on a daily basis when you wash baby’s hair or hold baby’s head. You may actually need to feel them once in a while, even by gently just running your hand over the top of your baby’s head. Very depressed fontanel. Your baby may be dehydrated. You will notice that if your baby is sick, your doctor will check it to see if it is bulging or depressed. Large bulge in fontanel. Your baby may have swelling in the brain. This is cause for concern if your baby has bumped his head, has been running fever and/or extremely lethargic. The fontanel may bulge slightly with crying, coughing, pooping or vomiting and if it goes back flat afterwards then your baby most likely is okay, otherwise, you should contact your doctor. Your pediatrician will be the best judge of any issues with the fontanel, but when you call the triage nurse may ask you to look at the fontanel and tell them if it is depressed more than normal or bulging. What If It Closes Too Early? If your baby’s soft spots close up too early, certain conditions can result. The early closing is known as craniosynostosis and can stop the brain from growing, mental retardation, blindness, seizures and an abnormally shaped head. Your pediatrician will check the soft spots at each visit during the first 18 months and can prescribe a special helmet or surgical procedures can re-open the areas. Bumps and bruises. Just after your baby is born, you may notice some bruises or swelling on your baby’s head. This is often on the back top portion of the head. You may also notice a “cephalohematoma” or soft bruised area that occurs during your baby’s delivery. They often clear up quickly on their own and no cause for concern. Hair changes. Your baby may have been born with thick locks of hair or maybe your baby is completely bald at birth. Even if your baby has a head full of hair, some babys lost this shortly after birth. This is due to the fact that the hair at birth is just the covering that protected your baby’s head in the womb. This tends to fall out and regular hair replaces it. You may also notice your baby’s hair changes colors from light to dark or dark to light over the weeks, months to years after they are born. These situations are all normal.